Carl W. Landerholm Jr., 79, a lifelong resident of Brockton, passed away on January 22, 2019. A past president of Landerholm Electric, he retired as a 2nd generation master electrician and electrical contractor. He was active in several organizations including Brockton Historical Society where he served as a trustee and was a past president; he was a past Brockton City Building Commissioner and member of Brockton Historical Commission; a member of Baalis-Sanford Lodge and had served as a Rite Worshipful Master; past patron O.E.S. 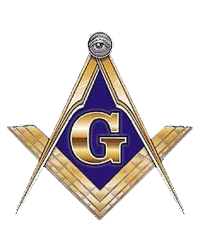 Brockton Chapter 87 and involved in Rainbow and DeMolay as well; past Grand Monarch of the Grottos of North America; and an active lifelong member and past deacon at Christ Congregational Church, U.C.C. Carl was the beloved husband of Diane C. (Rooney) Landerholm for 60 years; loving father of Peter Landerholm and his wife Linda, Paul Landerholm and his wife Janet, and Lisa Landerholm-Burke, all of Brockton; grandfather of Eric Menard and his wife Cassie, Lisa Westgate and her husband Donny, Laurie Clulow-Landerholm and her husband Fritz, Jill Conroy and her husband Paul, Paul Landerholm and his wife Stephanie, Jessica Knight and her husband Michael, Robert Landerholm and his wife Angela, Patricia Landerholm and her fiancé David Niklason, and Alisabeth “Ally” Burke; great-grandfather of 13; and the brother of Brenda Smith and her husband George of Vero Beach, FL. All are welcome to calling hours Sat., Jan. 26th from 2-5 p.m. in Christ Congregational Church U.C.C., 1350 Pleasant St., Brockton, followed by a 5 p.m. Masonic service and 5:30 p.m. funeral service in the church. Private committal. In lieu of flowers, memorial gifts may be made to Brockton Historical Society, 216 N. Pearl St., Brockton, MA 02301 or Christ Congregational Church U.C.C., 1350 Pleasant St., Brockton, MA 02301.